No excuses, no progress: The Brooklyn Nets are off to a disastrous start this season. NEW YORK – Lionel Hollins earned a reputation for being a straight shooter when he coached the Grizzlies from 2008-13. If the team was playing poorly, he said it. If a player needed a public kick in the pants, he was there to provide it. When the Nets hired Hollins to replace Jason Kidd last summer, many wondered if Hollins’ bluntness would come with him to Brooklyn, a significantly larger, more unforgiving media market. It has. In two months on the job, Hollins has taken his team to task on several occasions. He has questioned Brook Lopez’s toughness, declared the Nets' identity to be “not very good” and offered a curt “no” this week when asked if he has seen his team make any measurable improvements. It’s hard to blame him. Through Thursday, the Nets were 4-7 and mired in a five-game losing streak. There are no excuses, no injuries to use as a crutch. Three weeks into the season, the Nets just aren’t very good. The Nets are a tangled web of problems. They are big, but they rebound below league average and are an ugly No. 23 in offensive rebounds. Recently, Hollins was asked if the poor rebounding could be chalked up to bad bounces that elude the Nets' grasp. “Come on,” Hollins said. “How about just grabbing it? Use two hands.” They don’t defend (No. 22 in defensive efficiency) and they are especially bad in transition, ranking dead last, according to Synergy Sports. Offensively the Nets are middle of the pack, but where they have really struggled is at the end of games, a surprise given the experience on this roster. Williams, Johnson, Lopez and Garnett are former All-Stars, established veterans with decades of experience among them. Some of that is on Hollins. Consider: In a triple-overtime loss to Milwaukee on Wednesday, Hollins repeatedly handed the ball to Johnson. Johnson, of course, was one of the best clutch shooters in the league last season. But against the Bucks' Giannis Antetokounmpo, a spidery, 6-foot-11 forward with a 7-4 wingspan, Johnson consistently struggled to get a shot off. Roster turnover has been an issue. The loss of Paul Pierce -- whose departure to Washington on a short money deal is still puzzling -- took another fourth-quarter scorer out of the lineup. The Nets have gotten surprising production out of rookie Bojan Bogdanovic (11.3 points per game), but Pierce’s reliability in the fourth quarter is missed. So too is Shaun Livingston, a jack-of-all-trades combo guard who played effectively alongside Williams for pivotal stretches last season. The real head scratcher has been Lopez. Finally healthy after missing all but 17 games last season with (another) foot injury, Lopez has yet to rediscover his 2013 All-Star form and has appeared visibly frustrated on the floor. Hollins made Lopez something of a pet project during training camp, pushing the burly 7-foot, 260-pound center to be more of a paint presence. The result: Lopez has scored a pedestrian 50 points on 54 post touches, per Synergy, and is averaging his fewest points (16.2) since his rookie year. Worse, Lopez is averaging 5.0 rebounds, fewer than all but five starting centers in the NBA. Against Miami, Lopez posted five points and one rebound and was benched for all but two minutes of the fourth quarter. Internally, the Nets believe a turnaround is coming. Team officials cite players learning a second system in as many years and adjusting to a coach who preaches a different style. Plus, there’s a school of thought that veterans take a little longer to get going, and that by January and February the team will be right in the thick of the playoff race. Maybe. This is a team with far too much talent to drift for too long. But to be sub-.500 deep into November, to have home losses to Minnesota and Milwaukee, no one should have expected that, either. A West scout weighs in on the state of Denver, which is off to a 4-7 start. "The games I’ve seen have been a debacle. They have too many players who all play at the same level. They can’t figure out who to play. It doesn’t look like anyone is happy out there. They have no identity. 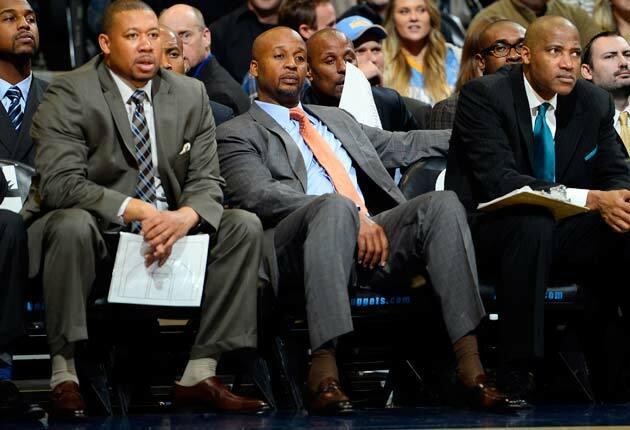 You can tell Brian Shaw wants to play more deliberately, but they don’t have the players to do that. This team is best playing up tempo and allowing guys like [Ty] Lawson, [Kenneth] FariedJaVale McGee to do what they do best. When you slow the game down, not only do you take away their strengths, but you expose all of their weaknesses. Faried and McGee can’t play in the halfcourt. Shaw is a good coach, but he has to accept that this team can only play one way. He has to play the way George Karl did, or else this team is going nowhere." By all accounts, the first month of this season has been a success for O.J. Mayo. 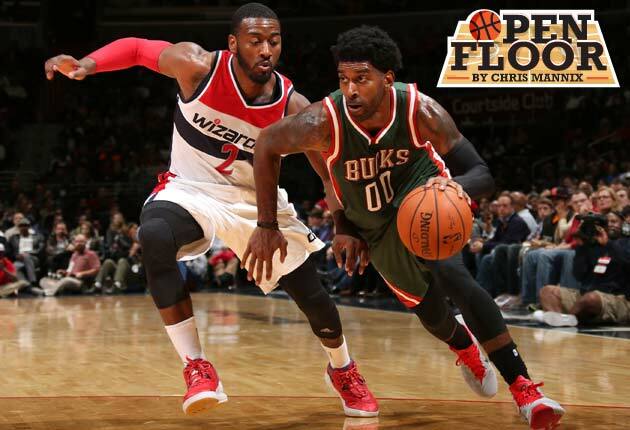 He is averaging 11.9 points per game in a top reserve role for the surprising Bucks. His assists (3.5) are up and he looks more like the player who resurrected his career in Dallas in 2012-13 than the one who looked out of shape during an injury riddled ’13-’14. So what’s the difference? Don’t ask Mayo -- he doesn’t want any part of it. It’s easy to understand Mayo’s reluctance to relive last season. He signed a three-year, $24 million deal with the Bucks and projected to be the top scoring option on a young, rebuilding team that lacked many. Instead, Mayo clashed with head coach Larry Drew, saw his playing diminish by the month and expressed frustration about what he felt was the team’s lack of identity. Mayo won’t delve too deep into last season, but it’s easy to see what he likes about this one. He praised new coach Jason Kidd (“He brings a great energy,” Mayo said), who has redefined his role. Winning helps, and the Bucks (7-5) have benefitted from the arrival of rookie Jabari Parker, the improvements of second-year forward Giannis Antetokounmpo and the return to the lineup of defensive minded center Larry Sanders, who missed all but 23 games last season due to injury. As for Mayo, he’ll deflect any question about last season by directing the conversation towards this one. 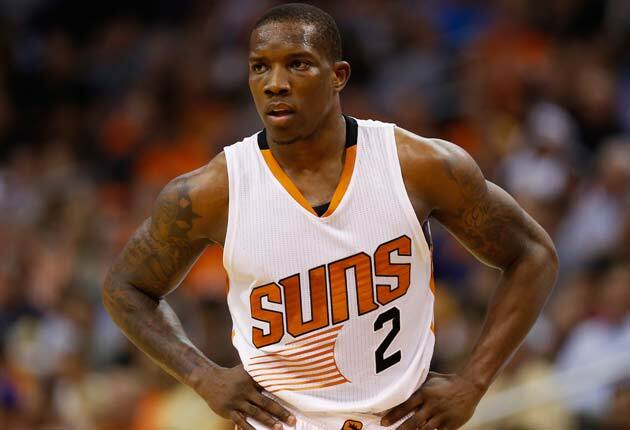 The Suns guard signed a five-year, $70 million contract in the offseason. He's averaging 13.8 points, 5.1 rebounds and 4.3 assists per game this season. SI.com: Anxious offseason for you? EB: "You know, I wasn’t really worried about it. I let my agent handle it. I stayed in the gym working out. I just had to make sure I didn’t get hurt. My agent was calling me, telling me not to go play with everybody. I pretty much wrapped my body in bubble wrap." SI.com: You got the contract you wanted. But was this the situation you wanted, in Phoenix? EB: "I was glad to stay here. We had a great time last year. We were winning games. I felt great about this team and the organization. I was grateful and happy to be here. They signed some guys, but I never worried about that." SI.com: Would you have signed that qualifying offer? EB: "I already signed it. I just didn’t send it." SI.com: You now have three guys -- you, Goran Dragic and Isaiah Thomas -- who like to have the ball in their hands. Big adjustment? EB: "Yeah, it’s tough. But at the same time I’m all about the team. Whoever gets the ball, the other guys just run the floor. We started off slow but I think we’re going to pick it up as the season goes on." SI.com: The Suns are not that scrappy underdog anymore. Are you noticing teams play you differently? EB: "No question. We have expectations this year. Last year people thought we were going to finish last in the West. This year people think we are going to make the playoffs. We just have to stay the course. You can tell going into games that teams are game planning for us differently. We have to adjust and keep playing our game." “I’m just trying to keep us in the game. I’d rather not have to do that, but we can’t just sit back and watch crime happen.” -- Kobe Bryant, on why he is shooting so much this season. Back-to-back wins this week have taken some of the pressure off the Lakers and the return of Nick Young to the lineup has removed some of the scoring burden from Bryant. But you have to wonder: Are the Lakers better off winning 25 games this season and forfeiting their top-five protected first round pick to the Suns, or bottoming out and using that pick as a trade chip to add another young piece to the roster? “I always thought you guys always had something to say. If LeBron went right, you said he should have gone left. If he shot, he should have passed it. If he passed it, he should have shot it and I always thought that was all baloney.” -- Spurs coach Gregg Popovich, chastising the media for being overly critical of LeBron James. Popovich is right. James is the most scrutinized player of his time. He’s social media’s biggest target. But let’s not forget that James has brought a lot of this attention on himself over the years. You can’t team up with superstars and you can’t throw a smoke filled party and promise six or seven championships and not expect to become a lightning rod for criticism. Collins -- who announced his decision to retire in a first person piece in Sports Illustrated -- had a short stint as the first openly gay player in any of the four major sports. Collins played 22 games for Brooklyn last season, averaging 1.1 points in 7.8 minutes. But what Collins did for the gay community goes far beyond the numbers. Collins was a pioneer, someone who opened the door for other gay athletes, a door they previously may have never considered opening. I understand Michael Carter-Williams frustration at the obsession over Philadelphia’s tanking. But no credible reporter believes Carter-Williams -- or any of the Sixers players for that matter -- are trying to lose games. Tanking happens in the front office, when team executives construct a team that is hopelessly unable to consistently compete. And that’s exactly what Philadelphia has done … The Jazz won’t be in the playoff mix, but I bet they have a .500 record in the month of April. Quin Snyder’s team has a lot of young talent that is starting to come together … Kelly Olynyk scored in double figures and shot better than 60 percent for five straight games before going scoreless in a loss to Phoenix this week. Olynyk has benefitted from the return of Rajon Rondo, but his perimeter scoring skills are impressive … Courtney Lee is shooting 62.1 percent from three-point range this season. If you’re looking for the biggest difference in Memphis, that’s it … Alex Len looks so much more comfortable this season. Len isn’t the post presence the Suns desperately need yet, but he’s got a shot at developing into it.